Studies have found that in individuals with digestive imbalances, serum concentrations of collagen are decreased. ( 5) Because the amino acids in collagen build the tissue that lines the colon and entire GI tract, supplementing with collagen can support healthy digestive function. 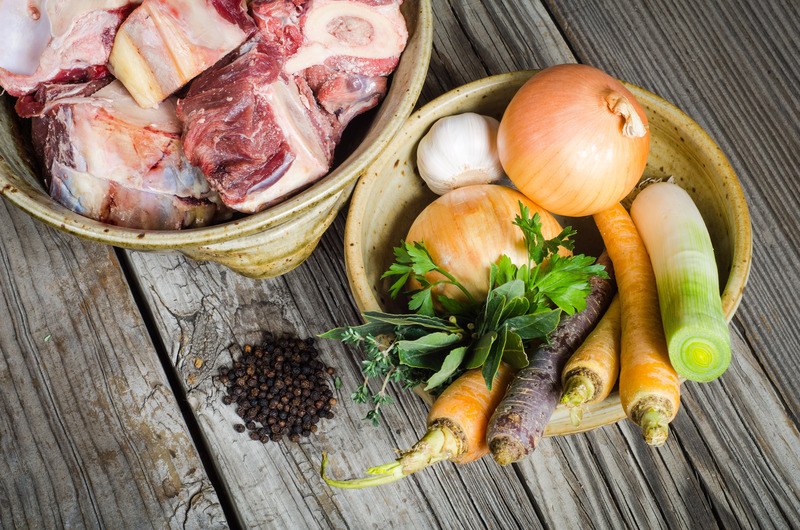 Bone broth is one of the most beneficial foods to consume to restore gut health and therefore support immune system function and healthy inflammation response. Collagen/gelatin and the amino acids proline, glutamine and arginine help seal these openings in the gut lining and support gut integrity. Traditionally made bone broths are believed to support healthy inflammatory response and normal immune system function. 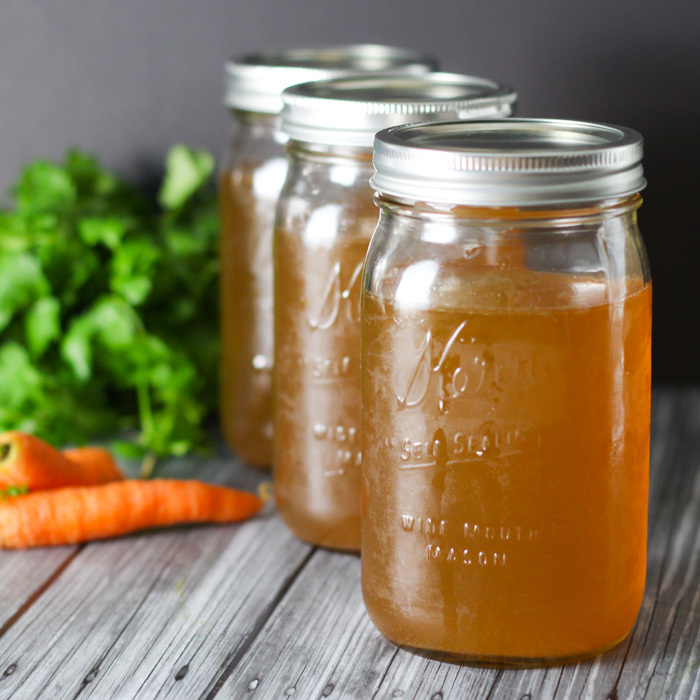 ( 7, 8) Bone broth can even promote healthy sleep, boost energy during the day and support a healthy mood. Some of the ways in which bone broth boosts detoxification is by supplying sulfur (especially when you add veggies, garlic and herbs to your broth) and glutathione, which is a phase II detoxification agent that lowers oxidative stress. Stanford University’s Medicine Preventative Research Center has found that glutathione helps with elimination of fat-soluble compounds, especially heavy metals like mercury and lead. It also helps with the absorption of various nutrients, the use of antioxidants and with liver-cleansing functions. ( 9) Bone broth also increases intake of essential minerals, which act like chelators to remove toxins by stopping heavy metals from attaching to mineral receptor sites. An easy and relatively inexpensive way to obtain glucosamine naturally is from drinking more bone broth, which helps support the loss of cartilage health, acting as an alternative to pricey glucosamine supplements. ( 13) Consuming more glucosamine can help support joint health, flexibility and comfort.